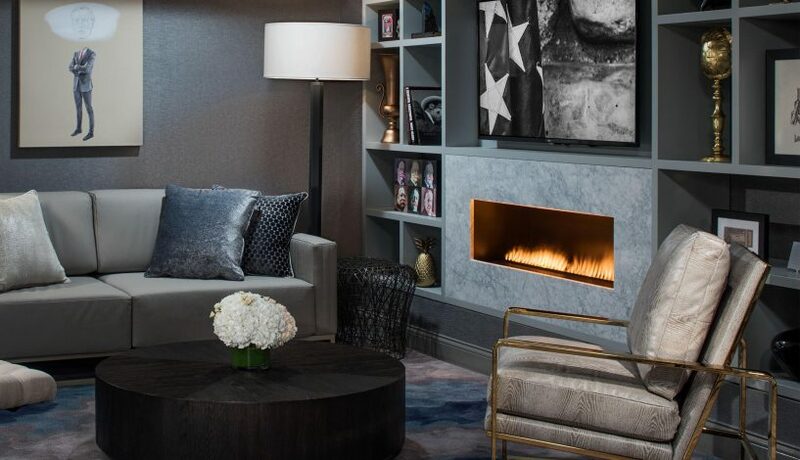 The Gettys Group worked with the Renaissance brand and Carey Watermark Investors Incorporated (CWI) to reimagine the first floor, guestrooms, corridors and port cochere of Renaissance Chicago Downtown Hotel as a local destination for Chicagoans. With a cost of $27 Million, this was Phase one of a two-phase project. 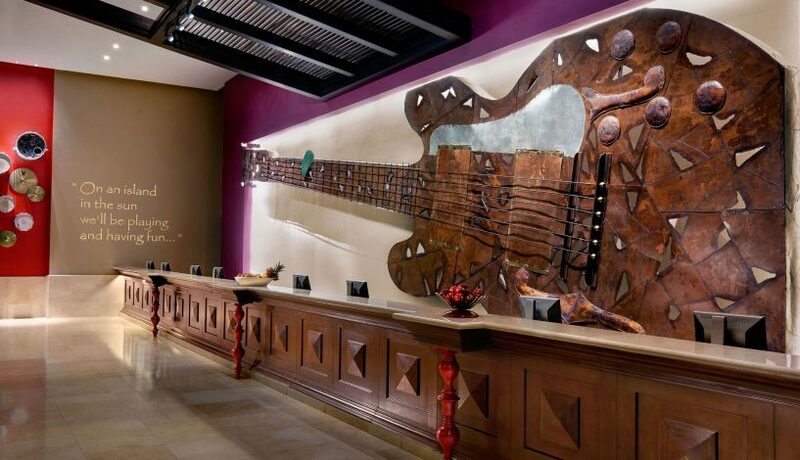 With familiarity of the Renaissance brand pillars and the existing hotel design, we were brought on at the outset of this project to conceptualize further business development opportunities. 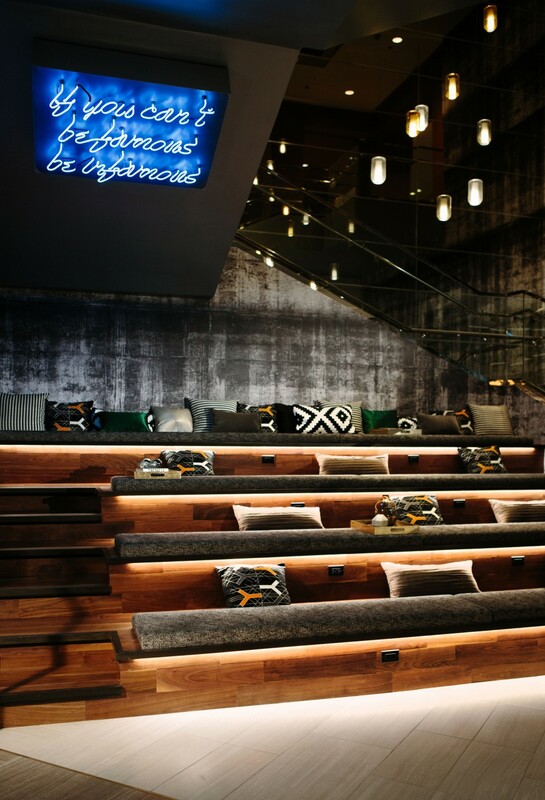 Both our design and consulting groups were involved in providing solutions that created additional flexible meeting space in the Suites and added seven keys to the property. Behind-the-scenes areas were redesigned to optimize workflow for better guest experiences in dining areas and private event spaces. The immediate result has translated into additional revenue streams from the enhanced lobby bar and the future rooftop venue opening in Spring 2016. 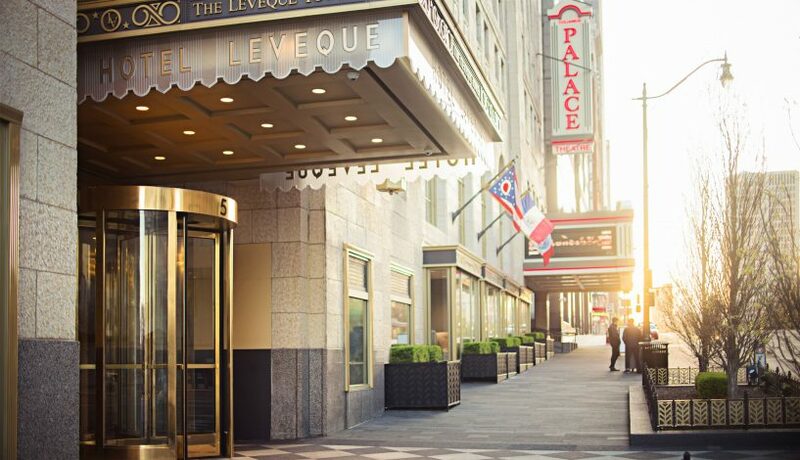 Located at the busy corner of Wacker Drive and State Street, the Renaissance Hotel is nestled among some of the most iconic downtown Chicago edifices and overlooks the Chicago River. 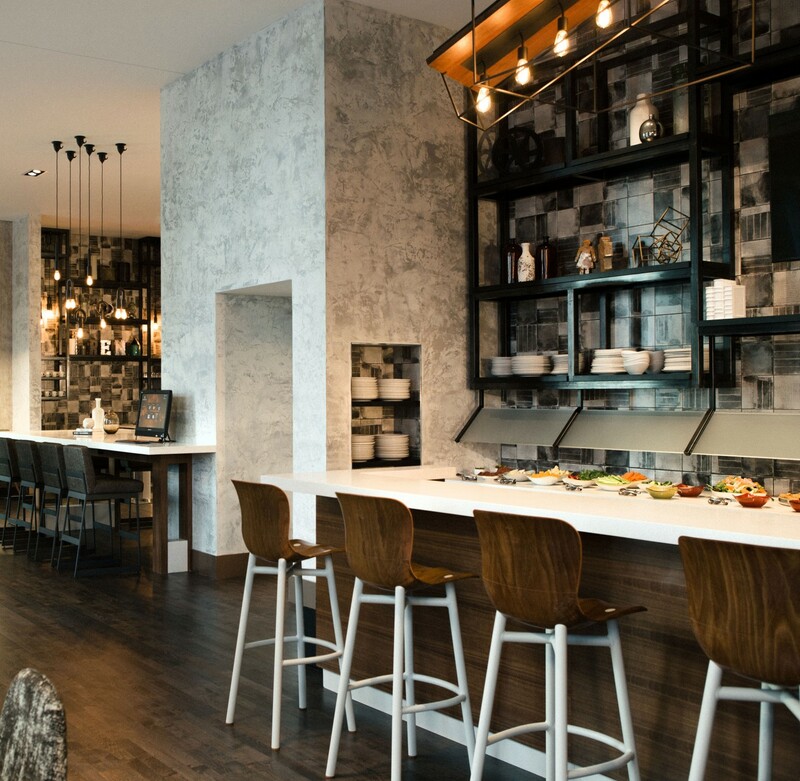 Our design concept expresses the hotel’s urban identity and integrates it with a strong sense of discovery and movement by using photography, curated spaces and Chicago-symbolic art pieces. 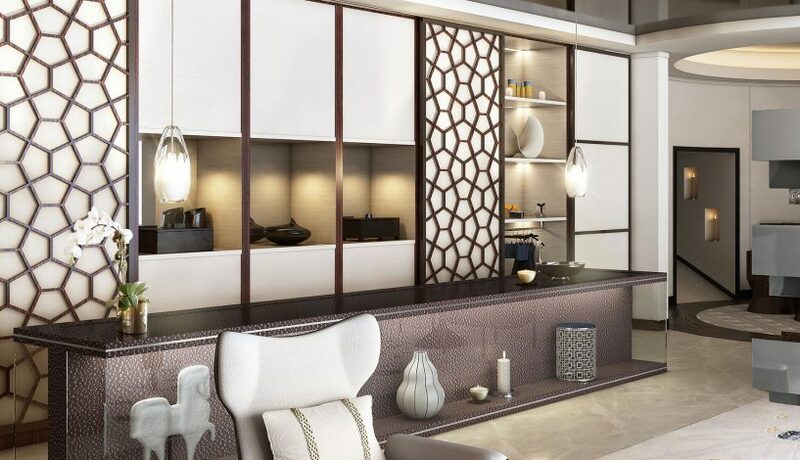 This concept is reflected for the entire duration of the guests’ journey through the space, and begins immediately upon their arrival onto the property. Scenes of travel, exploration and performance are looped on two oversized screens flanking the entrance at the porte-cochere. Once inside, guests find themselves in a lobby with a new open floor plan and higher ceilings. A variety of seating areas with comfortable, unique furnishings are intended to inspire spontaneous social moments and are situated among discoverable art installations. A taxi cab mural composed entirely of pencil stubs featured in one; a three-dimensional bird’s-eye diorama map of the surrounding block on another. Turn a corner and guests will find a skyline composed of whitewashed, hard-bound novels stacked in the Library, scribbled over with graffiti of a swirling gray cloud. Nothing in the space is static or repetitive. The finishes invoke the juxtaposition of refined and gritty city textures: smooth, clean woods contrasted against raw, complex patterns; a neutral color palette set against metallic bronze, with pops of bold green; and a wide variety of materials used everywhere. “The design is more about the moments we are creating with fabrics, artwork, texture and the character of the pieces, rather than about picking a color or colors to use,” says Chris McDonough, Senior Design Director. 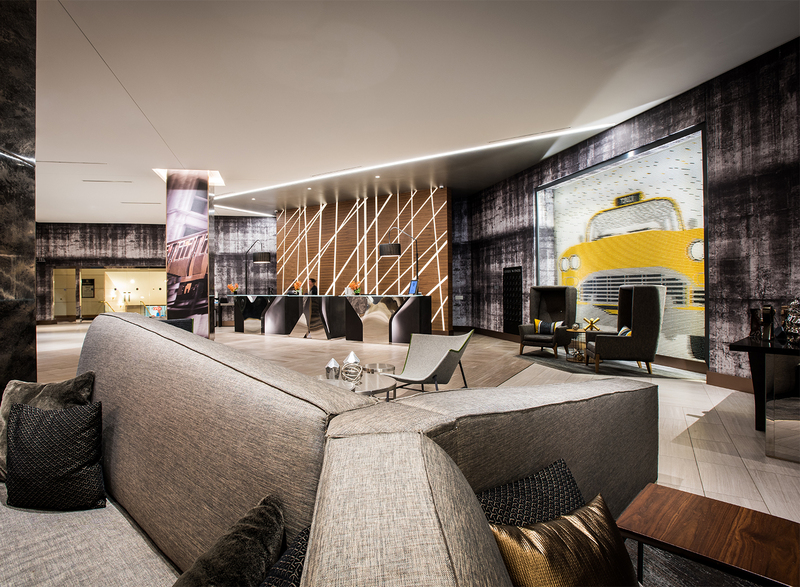 The lobby is peppered with other urban callouts, such as Y-shaped check-in desks (the symbol for the Chicago River, also present in the pillows and carpeting). 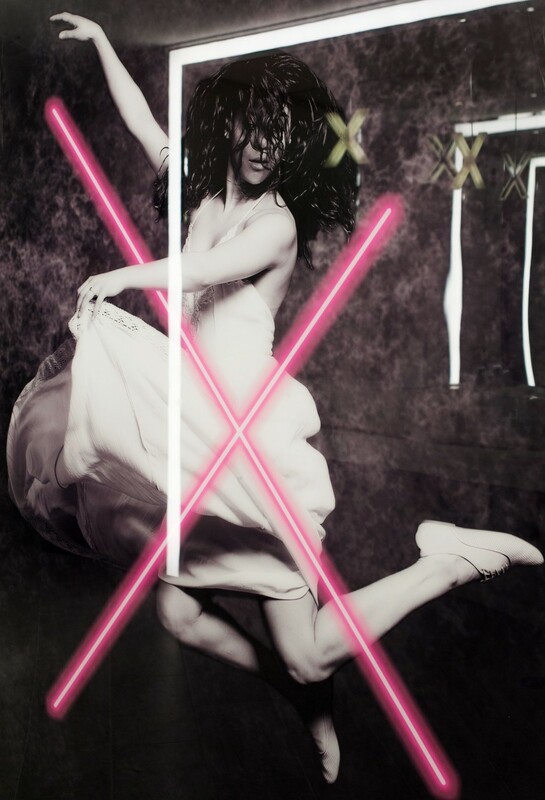 And as a counterbalance to the rigid architecture of the columns on the first floor, we wrapped them with photographic images of dance performances and active urban scenes. At the heart of the space we created The Staytion and the adjacent Artist Studio. 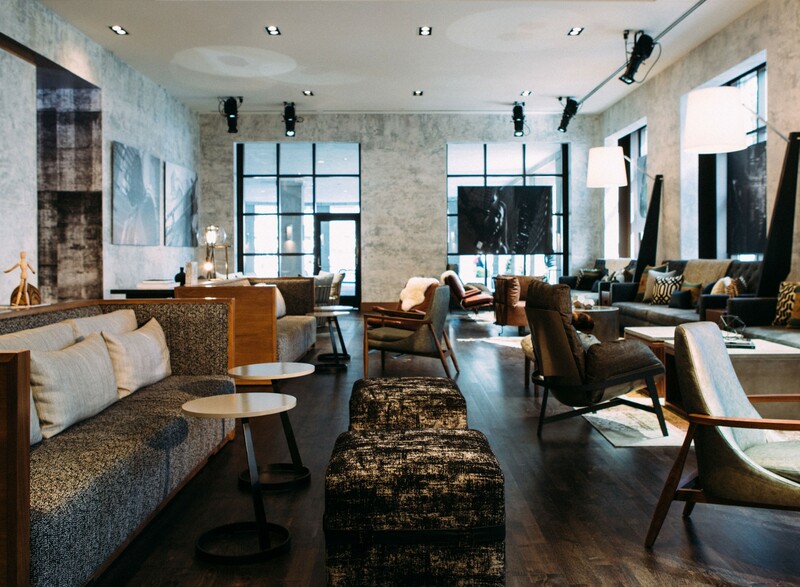 “The design team created a bar as a public destination for both guests and Chicagoans,” said Roger Hill, The Gettys Group CEO. 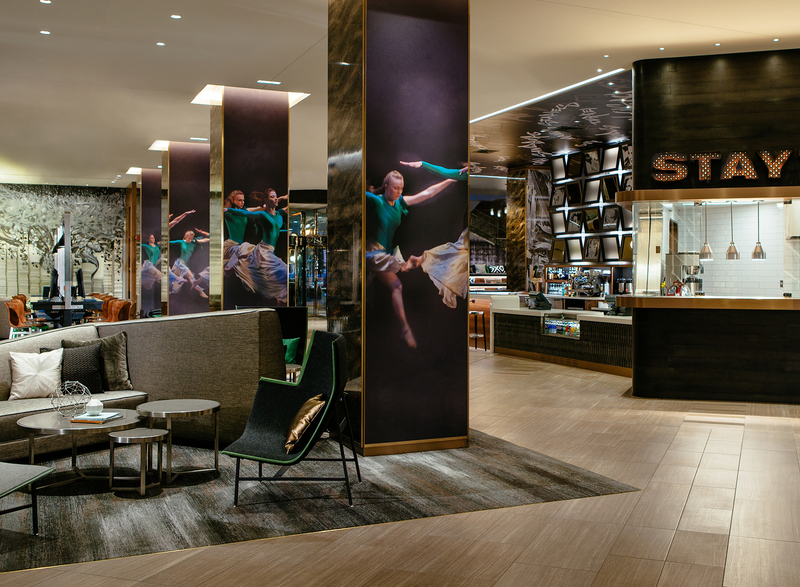 “By creating opportunities to purchase, we’ve successfully positioned the hotel as a public space and created a new revenue stream for the property.” The Staytion celebrates the cultural history of the city by showcasing various Chicago luminaries. Sketches of John Hughes, Louis Sullivan, Chaka Khan, Joan Cusack and many others are arranged over the back bar panel among framed mirrors. Each is angled to create depth and movement, to reflect light and to draw guests into the collection of familiar personalities. The Artist Studio reflects the creative culture of the theatre district. Eclectic furnishings in a wide open space are meant to inspire creative productivity and fun social exchanges. Large-scale, double-sided photos set in the windows elicit dialogue with passersby. 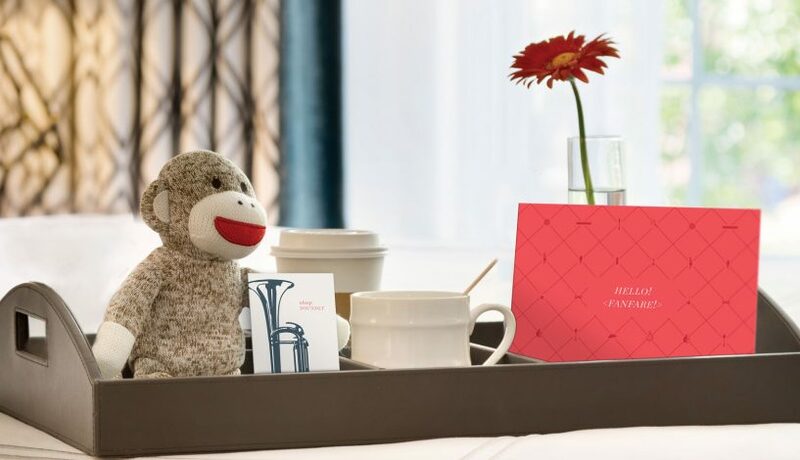 Guests remain tethered to the essence of Chicago upon entering their rooms. A calmer, relaxed environment, the palette is cool greys and tan tones, with accents of deep blue and vibrant yellows reminiscent of the CTA train lines. 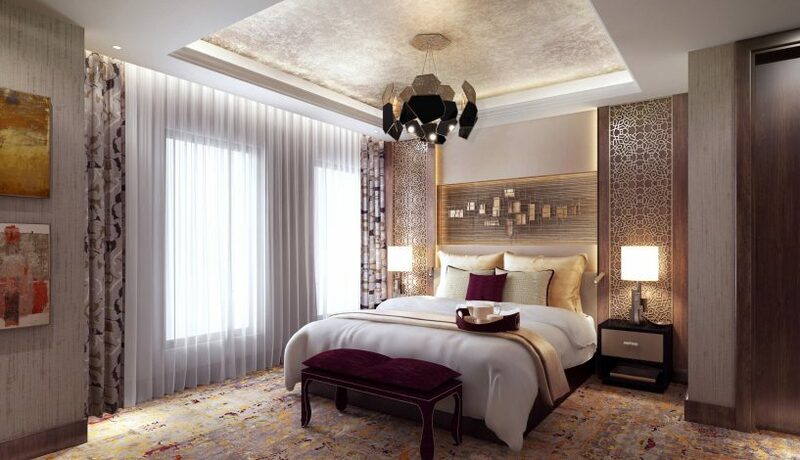 The rooms include new sectional sofa lounging areas and brightly-illuminated bathrooms. Guests will recognize the Y-pattern from downstairs in the pillows and the carpet, and possibly even notice The Renaissance figurine from the map in the library as a tiny surprise on their wall. 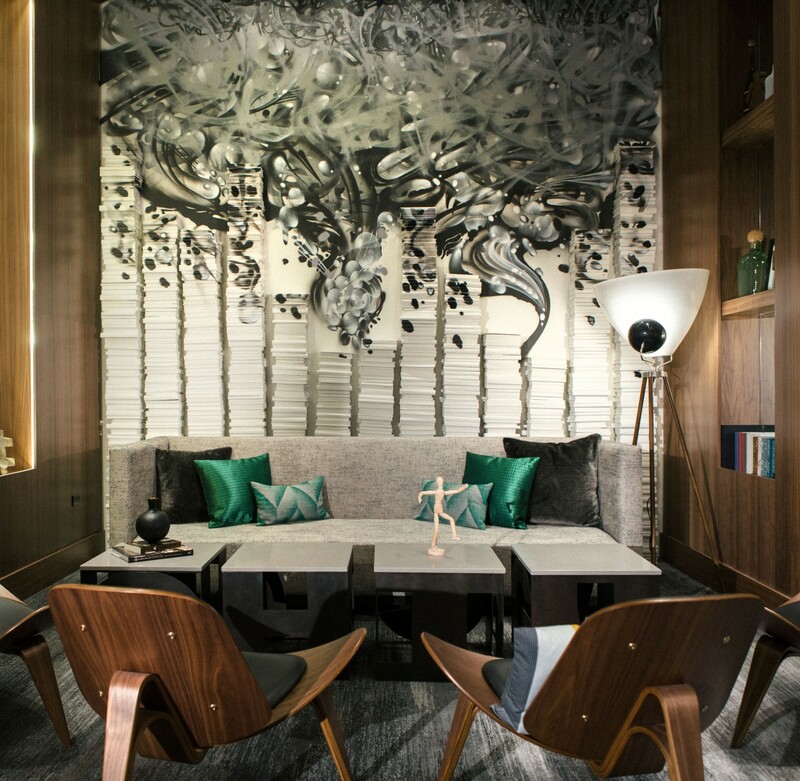 The overall Renaissance Chicago Downtown Hotel experience focuses on hidden delights for the guests, the locals and random passersby. 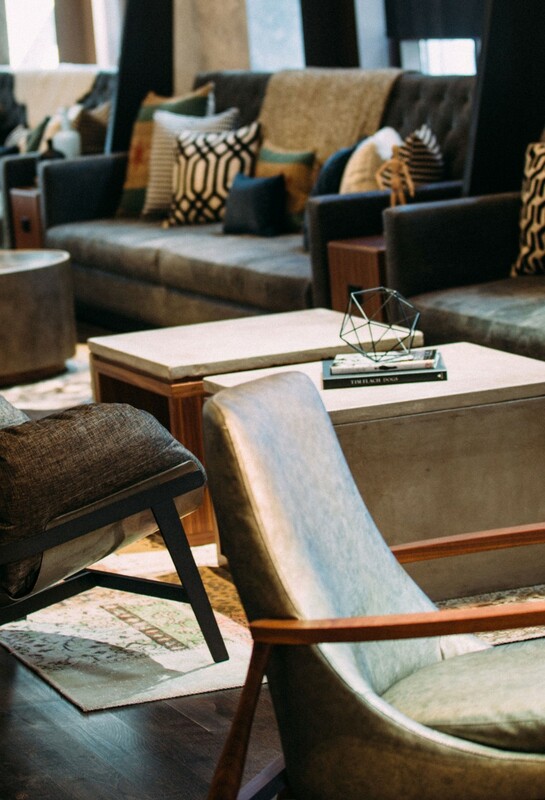 Whether guests are stopping in for a drink, staying for a getaway or attending a work gathering, they’re experiencing a one-of-a-kind Chicago hospitality destination.